We are currently working on uploading past issues. Thanks for your patience! People disagree whether is a choice or you were born with it. And it can be dangerous enough to warrant prohibition in many of the world’s countries. Yet few openly discuss it. Let’s talk about sexuality! What is a multicultural society? Can such a society even exist? Face-to-face encounters with “the others” have made us, as Europeans, question the own nature of our society and reflect on our way of engaging and welcoming them. How do we relate to each other across different cultures? Is it possible to approach heated disputes in a peaceful way? Are religious differences always a hindrance to friendship and cooperation? How can sexuality lead to slavery? How does our society treat the victims of human trafficking? What is freedom and what is exploitation? Where do we draw the line? What can our reaction as Christian students be? Are you willing to take a risk to be in solidarity with the victims? Here is the special issue of Mozaik, which reflects on the life of the Federation in first half of 2013. Here you will find reports on WSCF Europe events, portraits of our SCMs as well as texts on other important topics which influenced our lives in the past months. Mozaik 31 Who is My Neighbour? Who does our society exclude? How does our faith build bridges and draw borders? What does it mean to love your neighbours? Do you know who they are? What does it mean to be a neighbour in your society? Mozaik 30 Guilty or Not Guilty? Whether communication is verbal, visual, or kinaesthetic gender pervades communications, particularly in verbal languages and the media. The use of language will have a powerful effect as the borders of Europe open. As people move freely between different cultures we can see a cross-fertilisation of languages. Moving towards gender positive language will promote gender equality and human rights. Communication between people, cultures and societies has been dramatically transformed by technology. Cultural exchange is literally at our fingertips. The shift to the online world has reshaped interpersonal communication, changed our virtual and real communities, transformed the collection and storage of information and reconstructed education methodologies. “Be fruitful and increase in number; fill the earth and subdue it” God said; however, for our generation, action against climate change is a matter of survival. How do we reconcile these messages? Climate Change continues to affect the entire planet. Depending on where you live, these effects may impact your daily life very differently. Our action, inaction, waste, food, transportation, and almost all of our daily choices are deeply entrenched in a complicated and intermingled global and ecological web. How do we raise awareness about this delicate chain of connections? The Powers that Be, stems from the theme, Religion, Ethics and Politics: God and the Use of Power, It is a forum examining how Christian faith demands a radical renegotiation of political relationships and how our faith, as student activists, interacts with power structures. What does it mean to live in solidarity with those at the fringes of society? How can we seek social justice? How can we challenge those in power to be responsible for the whole of society? How would we act if we had more power? Issues of gender and gender equality touch us at the very core of our existence as human beings. Our daily lives, identities and social structures, with their possibilities and limits, are all shaped by our conception of gender. As a result of migration and globalization, Europe is becoming more heterogeneous, multi-religious and multi-cultural, while still having to deal with the spectre of its colonial past. Traditional conceptions of gender roles are in flux. This situation brings great challenge and promise for European citizens, communities and institutions, demanding an examination of how all can live together in peace, respect, and dignity. As the image of God, creativity is one of the most divine characteristics in human beings. Beauty as expressed in music, visual art and poetry can offer experiences of holiness and opportunities to view something of the Kingdom of Heaven. Art and religion have been used to express the meaning of existence throughout history and have provided a medium to explore and appreciate the diversity of European society and its global context. If the artist is an associate of God, how are we to appreciate the influence of art in the spirituality and society of Europe? Can art challenge faith or can it even be revelatory? Can art catalyse social change? How does art express resistance to oppression or dominant culture? Mozaik 22 Just Life or Just Life? “Having heard all of this, you may choose to look the other way…but you can never say again that you did not know.” William Wilberforce We seem to live in a world dominated by “nuclear giants and ethical infants.” How do we live justly in an increasing interconnected world? How are our daily actions affecting the lives of those on the other side of the world? Are there alternatives to globalisation? How prominent are concepts and actions of fair trade and social justice? 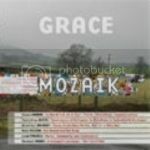 Mozaik 21 Religion: Source of Peace or Violence? Personally, do we live lifestyles of peace? “Peace be with you!” Is this only a phrase we say or do we really mean it? Is religion a source of peace or violence? Many people blame religion or personal belief to be the source of misunderstandings, conflicts or even war. Is this true? Are these statements correct? Is it possible to restore peace with the help of religion and inter-religious dialogue? If so, how should this be done? Each one of us has faced these questions—and each one of us can make a difference. Migration has occurred throughout history, since Adam and Eve were evicted from the Garden of Eden. In itself, migration is a neutral term, neither positive or negative, yet in contemporary society the phenomom of migration has led to many questions and challenges. “Am I a migrant?” we must examine the definition of migration as people travel not only between nations and continents but within borders. Is migration a problem? For whom? How is integration present (or absent) within our communities? What does it mean to be a migrant? Does our society accept or reject differences in culture, origin, values, etc? What are the connotations of migration in the East? The West? Are there solutions to the problems or prejudices raised by migration? If so, how can they be implemented? Family – a term we can all relate to, have an opinion on and think we know what it means. But, how has the concept of family changed over the last 10, 20, 50 years? How does it differ in the diverse parts of Europe? How does living in a multiethnic, multicultural, multi-religious Europe affect the concept of family? Is there only one model of family? What are the challenges from society to the concept of family? How does the traditional model of family influence society? How do we see identity, self-esteem and stereotypes in relation to the understanding of family and gender? What role does Church play in the question of family and gender roles? What role does Christianity play, both explicitly and implicitly in the Europe, on the national and international levels? To what extent are church and state intertwined? Is the existing relationship between religion and society too strong or too weak? How does Empire influence our churches? To what extent does the Church facilitate or fight Empire? Where do other faiths fit into nations with close church and state ties? What constitutes freedom of religion? How do or should religion and society intertwine? Are religion and society compatible, or not? “Modern poverty” strictly divides Europe’s societies between rich and poor. One of its most dramatic aspects is people living without adequate housing. To explore this issue, WSCF Europe hosted a conference in cooperation with Habitat for Humanity, titled “‘I Was a Stranger and You Invited Me In’: Homelessness and Poverty Housing in Europe Today.” In connection with this conference, the idea of home and homelessness will be a special focus for the upcoming issue of Mozaik. The inspiration for the conference title and this issue of Mozaik was taken from Matthew 25,35-36: “For I was hungry and you gave me something to eat, I was thirsty and you gave me something to drink, I was a stranger and you invited me in, I needed clothes and you clothed me, I was sick and you looked after me, I was in prison and you came to visit me.” Christ’s words clearly indicate that the physical world is inseparable from the spiritual one. Higher education in Europe (and beyond) is undergoing major changes of which the main developments can be summarised as: quantitative expansion, greater variety in institutional structures and programmes of study, and increasing financial restrictions. On many levels, these developments, as well as questions of the aims and purposes of universities, are being discussed. Many of the articles in this Mozaik address the topic of education in a direct way, examining the current state of institutions of higher education and their possible, or needed, reforms. Other articles take a broader view on the issue and focus on informal education, gender perspectives in education, or on ecumenical and spiritual issues in education. “Active oppression is usually noisy enough to be noticed. It is difficult to hide a prison full of peoiple or to pretentd that Siberia is nothing but a natural paradise. There is, however, a more subtle form of oppression that is much less noisy and thus much harder to detect. This is oppression by silence. If a wrongdoing is not mentioned, it perpetuates itself” (Peter Sajda). This issue of Mozaik seeks to explore the history and current status of human rights, especially from the perspective of gender equality and discrimination, focusing at times more specifically on the trafficking of women. Given the current state of world affairs, Muslim–Christian dialogue is a timely topic indeed. As contemporary politics in the Middle East conjures up ghosts of medieval crusades, we must come to terms with the historical injustices which mark the relations between our faiths, and to formulate anew a vision for the relationship between Christianity and Islam. This issue of Mozaik addresses aspects of interreligious dialogue, discussing peace-building, misunderstandings, prejudices, and similarities of beliefs. Mozaik 13 Latin America and Europe: Worlds Apart or on the Same Track? Do Europe – the continent of the ex-colonial powers – and Latin America – the formerly colonised continent – have anything in common apart from historical links and current economic ones? Though formal colonialism has long come to an end, even today some of the relations between these two continents are still hierarchical ones. The current economic relations between Western Europe and Latin America are often marked by inequality – be it in the form of EU protectionism or be it in the creditor–debtor relations. The articles in this Mazaik explore the similarities in the transformation of countries in Latin America and in Eastern and Central Europe in the past twenty years and the influences and effects of ecumenical theological thinking in Europe and Latin America. The topic of the twelfth Mozaik is black and white thinking. Indeed, most of our thinking is dominated by dualistic concepts: black and white, good and evil, female and male, young and old, rich and poor, powerful and disempowered, centre and peripheries. In our ecumenical journal we will explore these dualisms. Our sharing shows that we often think dualistically, even if we are not aware of it. We hope to overcome an “us-them” way of thinking about important human issues. The topic of the eleventh Mozaik is ecumenism and reconciliation: stories from Europe. In this issue we consider several questions: can we come closer together as churches and as peoples in Europe? What can we learn from our ecumenical ancestors on this journey? These topics are of great importance now for the World Student Christian Federation Europe Region. The fourteen articles gathered here mirror the ways that students and young intellectuals see the connections between body and mind, body and spirit; the role of sexuality in Christian life; wholeness and holiness; fullness of life and life in abundance. 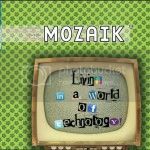 Mozaik 9 Globalisation: A Challenge to our Faith? 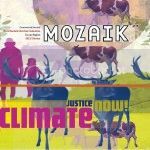 This issue of Mozaik deals with the topic of globalisation. As you will see, it can take many meanings; even opposite ones. Therefore we hereby do not intend to reach a consensus on how to define the word; rather to offer a more or less holistic approach to globalisation as a multi-faceted process. You will find students and young intellectuals arguing that economic globalisation is evil; others will say that we need more globalisation; again others will try to clarify which goods we need to globalise. Mozaik 8 Is Student Protest Dead? Mozaik 7 Is Death Alive among Students?